Most of us encounter Arabic in the written form and long for the ability to understand the script we recite. This 40 week course will focus on enabling students to understand classical Arabic as encountered in the Quran, Hadith and other sources. 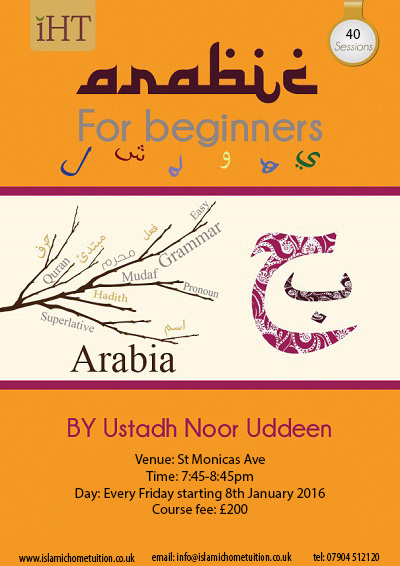 • Understanding the basics of Arabic grammar (Nahw). • Grasping the fundamentals of Morphology (Sarf). • Competence in the use of a traditional Arabic dictionary. • Giving students the ability to understand and translate Arabic text. This course endeavours to provide women with the Islamic rulings pertaining to menstruation. On completion, students will have a much better understanding of this vital tenant of purification. This course will provide students with the opportunity to understand the basics of Islamic Creed. Students will be able to learn the necessary aspects of faith which is obligatory upon every Muslim to know and to affirm. This course will cover part two of Al Ghazali’s Beginning of Guidance on how to guard against the sins of the eyes, ears, tongue, stomach, hands and feet. "It is prescribed, when death approaches any of you, if he leaves any goods, that he makes bequest to parents and next of kin, according to reasonable usage; this is due from those mindful of God." Qur'an 2: 80. In this verse, writing a last Will before death was made obligatory on all Muslims. This was, of course, before the details of the inheritance system were sent down to the messenger of Allah, Muhammad in Surah 4. However, the Prophet is reported by Ibn Umar to have said: "It is not right for any Muslim person who has anything to bequeath that he may pass even two nights without having his Will written" (Bukhari and Muslim). Thus, according to the great majority of Muslim scholars writing a Will is highly recommended. A study of renowned Aqidah treatise Jowharat al-Tawheed by the venerated theologian Imam Ibrahim al-Laqani. This course will cover the well-renowned text of Imam al-Mawlud, Purification of the Heart. 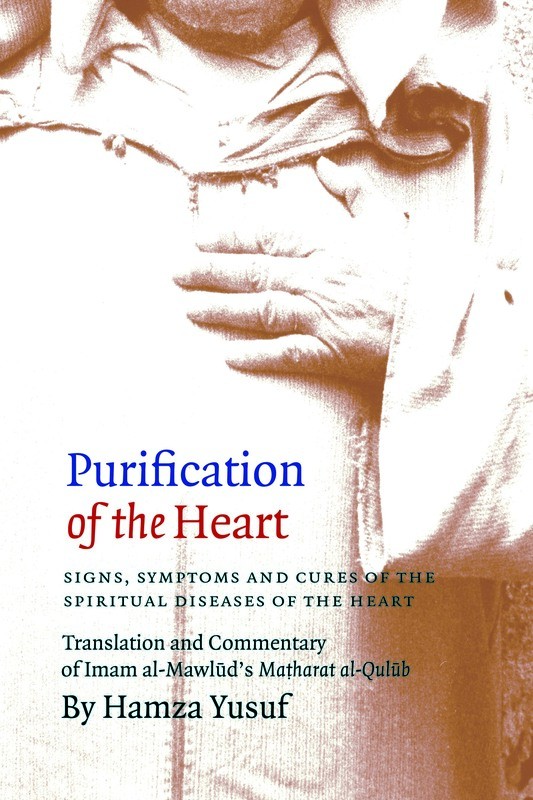 Translated by Shaykh Hamza Yusuf, this text is a brilliant manual that provides insight into how one can overcome the many subtle and at times obvious diseases of the heart. The course will run for eight sessions, each consisting of one hour. 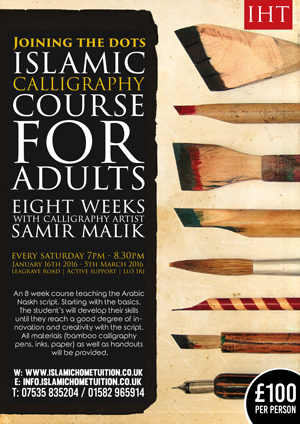 To introduce a group of 20 students to Islamic and Arabic Calligraphy, with a main focus on the practical aspects and creation of Islamic Calligraphy using classical tools, enabling them to use the tools and methods with confidence as well as be able to teach others in the method and discipline. In this celebrated treatise Imam Al Haddad divides the human experience into 5 distinct stages (or lives) and discusses various Quranic verses and Prophetic Hadith related to each one. The Holy Prophet Muhammad, may God's abundant peace and blessings be upon him, was and remains the cornerstone of all that is good.He is the measure of that which is wise and beautiful. 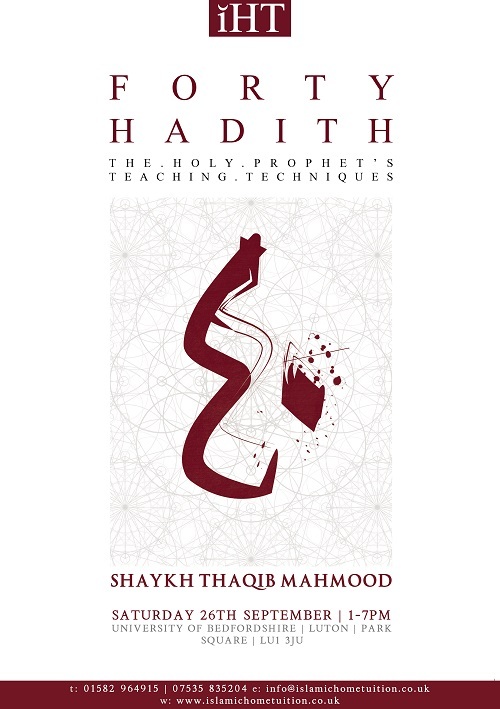 This course intends to touch upon some of his pedagogical techniques, compiled in a forty hadith text, each hadith highlights something of these invaluable techniques. It is hoped all those who attend will feel engaged and empowered. Resulting in people who become more reflective, appreciative and wiser in practice. All of which are believed to be quintessential qualities of the Holy prophet Muhammad. 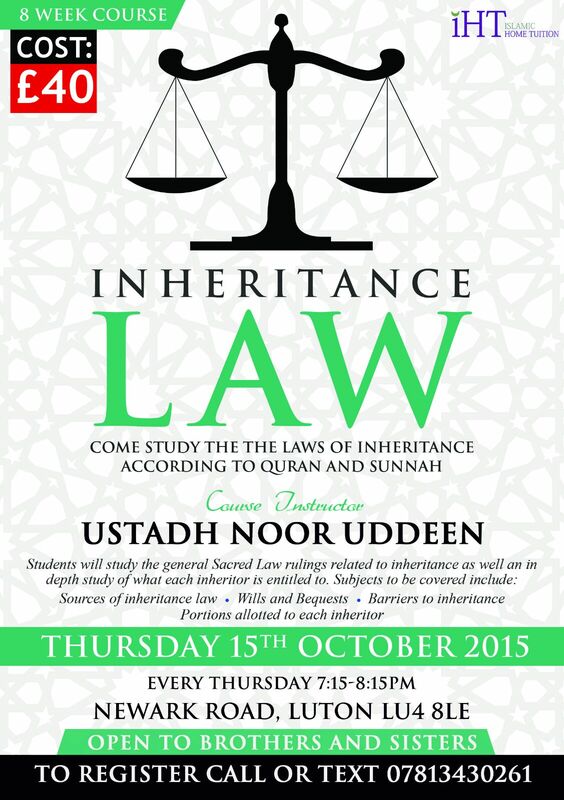 Students will study the general Sacred Law rulings related to inheritance as well an in depth study of what each inheritor is entitled to. This course will cover related theory as well as allowing for individual recitation and correction. This course will be based on the renowned text of Imam al-Mawlud 'Purification of the Heart' as tanslated by Shaykh Hamza Yusuf. 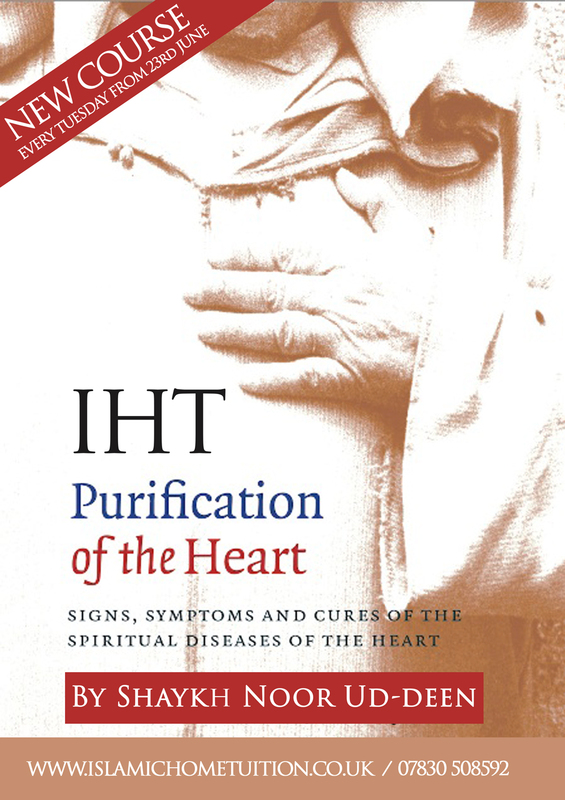 This brief text provides an insight into the many subtle diseases of the heart and various means of overcoming them. 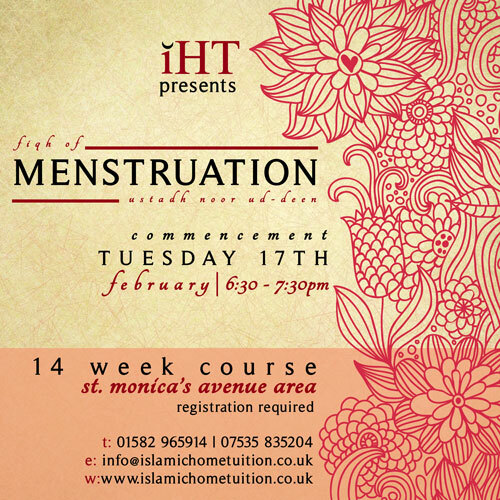 This course endeavours to provide women with the Islamic rulings pertaining to menstruation. On completion, students will have a much better understanding of this vital pillar of purification. This course will focus on the Makkan Period of the biography of the Holy Prophet peace be upon him. Being the most important person in the life of a Muslim it is essential for us to be well acquainted with our Prophet peace be upon him. The Prophet peace be upon him said, 'none of you (truly) believes until I am more beloved to him than his own soul.' (Ahmad, Sahih). 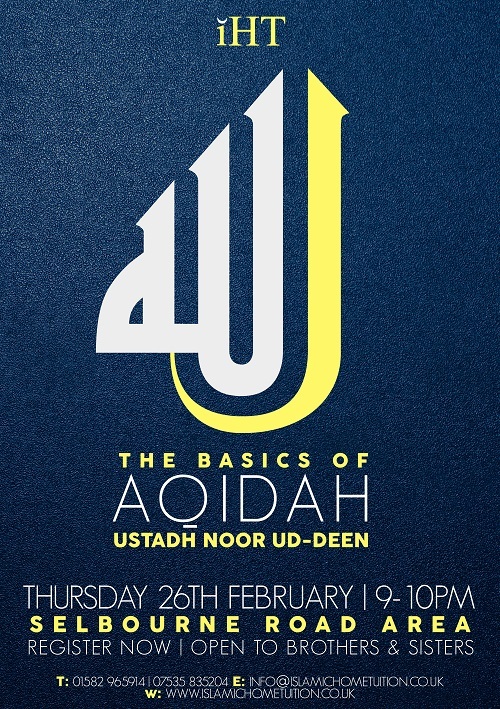 A seven-part course providing an exposition on the major sins that have been compiled by the great Imam adh-Dhahabi, derived from the Quran and the Sunnah. 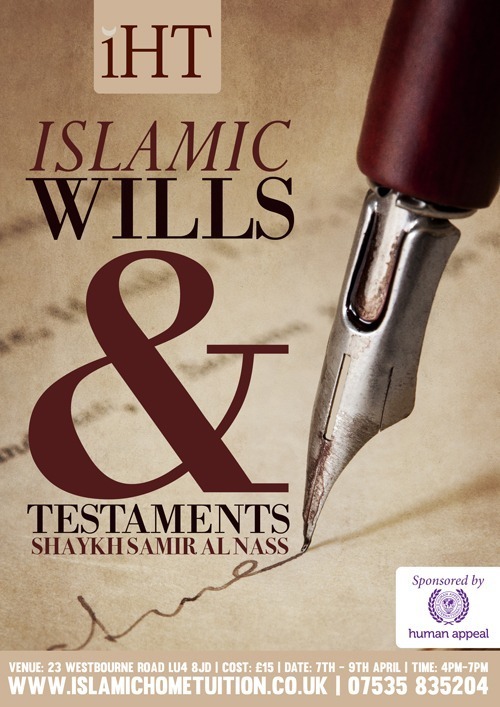 Students will learn essential details regarding this most important of Islamic pillars. 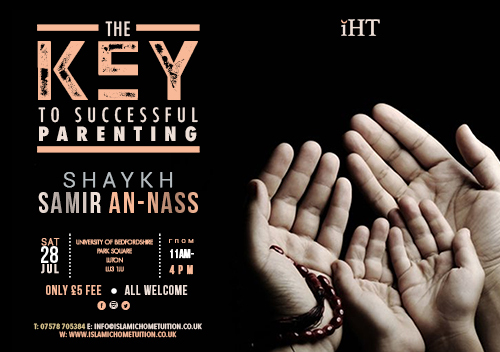 Not only is this course designed to correct mistakes we make in Salah but also to provide an in depth understanding of this oft repeated act of devotion. This essential pillar of Islam requires a detailed study in order for one to practice it correctly. May Muslims have never studied Zakat comprehensively and rather rely on piecemeal information and hearsay, thus making major mistakes. This is a rare opportunity to study this misunderstood pillar and put right ones practice. This course will look at sacred law governing our financial transactions. There are many verses of the Holy Quran and Hadith of the blessed Prophet peace be upon him that speak about financial transactions and it is essential for us to act upon the dictates of them. 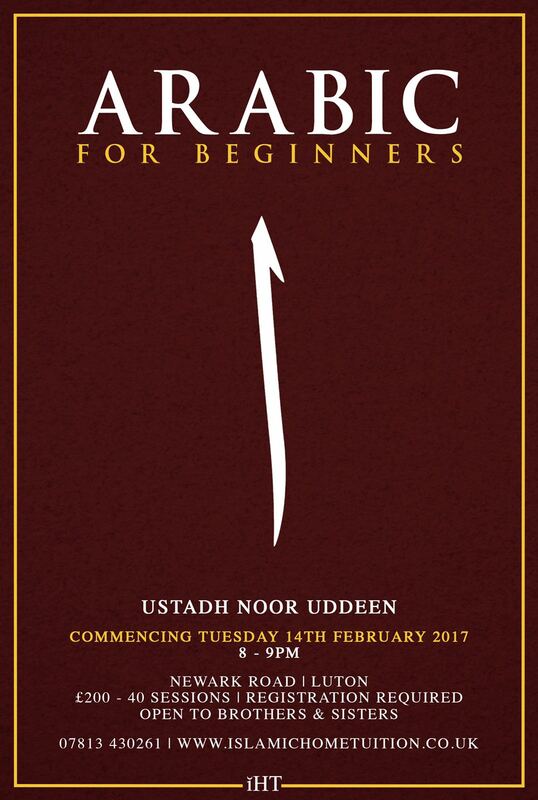 This course is not for specialist rather beginners and much of the content is considered personally obligatory knowledge (Fard al Ayn). Living in a non-Arabic speaking environment most of encounter Arabic in the written form and long for the ability to understand the script we recite. This 40 week course will focus on enabling students to understand classical Arabic as encountered in the Quran, Hadith and other sources. When a loved one passes away we are often called upon to assist with the funeral rights, however without studying how will we know if we are performing them correctly? What is the Sunnah method? What is best for the deceased? These and many other important questions will be answered during this 8 week course insh Allah. The holy Prophet peace be upon him obliged us to study our deen and it is due to out failure to act upon this command that we often go wrong, this is an opportunity to correct at least one aspect of our religious practice. The intention is to introduce a group of 20 students to Islamic and Arabic Calligraphy, with a particular focus on the practical aspects of Islamic Calligraphy using classical tools. This will enable them to use the tools and methods with confidence as well as be able to teach others in this method and discipline. This course will provide students with the opportunity to learn and comprehend the basics of Islamic Creed. A study of the celebrated book by Imam an Nawawi, Riyadh as Saliheen. Tajweed is a Quranic science which helps the student to correct mistakes in recitation and become a more proficient reciter of the Holy Quran. This course will cover related theory as well as allowing for individual recitation and correction. 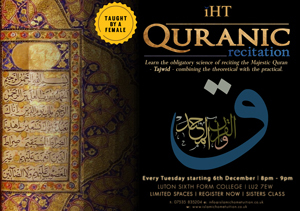 This course will provide a brief exegesis of the last ten surahs of the Holy Quran. Allah most high requires us to reflect upon the Quran when we recite it, Insh Allah this course will facilitate the fulfilment of this Quranic imperative. The Quran and Hadith have obliged us to work to purify our hearts and it is one of the greatest Sunnahs of our blessed Prophet peace be upon him, yet it is possibly the most oft neglected. This course provides an insight into how one can combat the many subtle and at times obvious diseases of the heart. 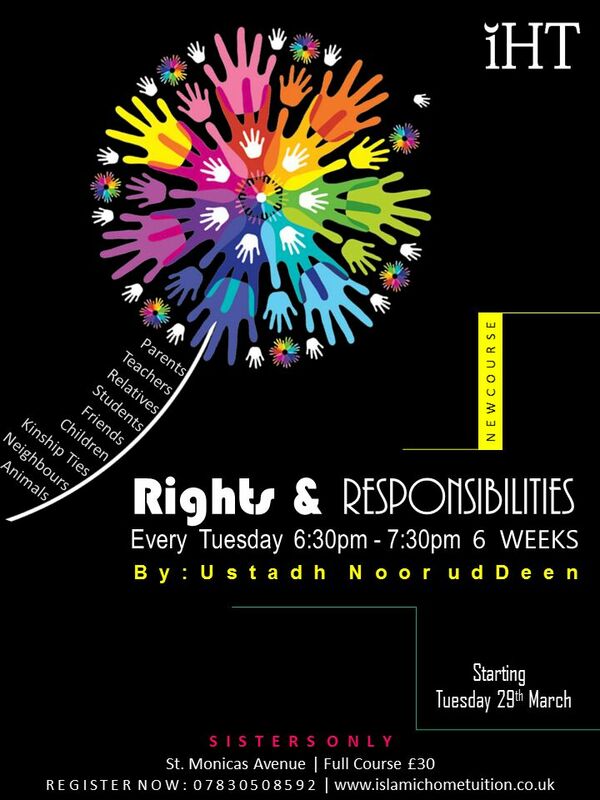 Rights & Responsibilities in Islam. This short course will detail out the various religious obligations and recommendations prescribed upon us by Quran and Sunnah. Biographies of the Pious.Ten blessed women. This short course will examine the lives and virtues of ten blessed women from our noble history. Students will learn essential details regarding this most important of Islamic pillars. 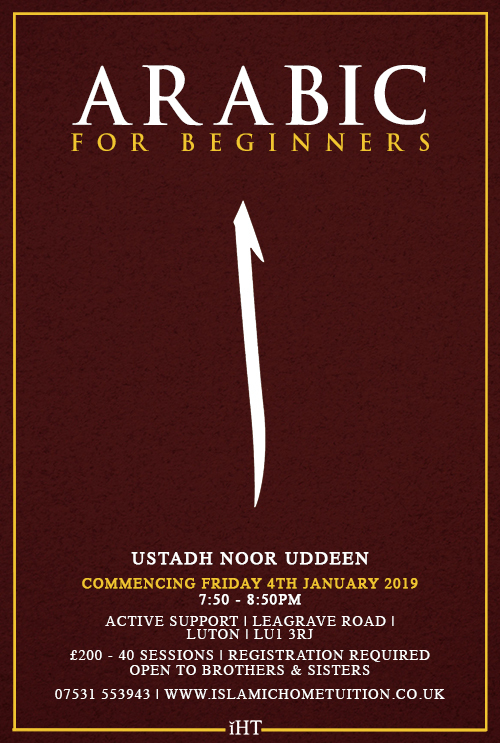 Not only is this course designed to correct mistakes we make whilst fasting but also to provide an in depth understanding of this often repeated act of devotion. This essential pillar of Islam requires a detailed study in order for one to practice it correctly. Many Muslims have never studied Zakat comprehensively and rather rely on piecemeal information and hearsay, thus making major mistakes. This is a rare opportunity to study this misunderstood pillar and put right ones practice. 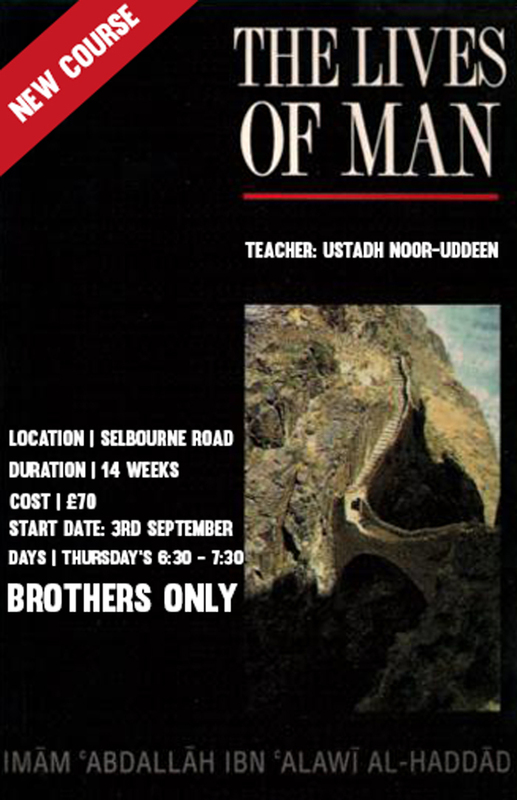 This course will focus on the Madinan Period of the biography of the Holy Prophet peace be upon him. Being the most important person in the life of a Muslim it is essential for us to be well acquainted with our Prophet peace be upon him. The Prophet peace be upon him said, 'None of you (truly) believes until I am more beloved to him than his own soul.' (Ahmad, Sahih). This course will cover major events that took place during the leadership of the five Khulafa Rashideen. This chronological presentation will provide an insight into one of the most important and impactful periods in our history. 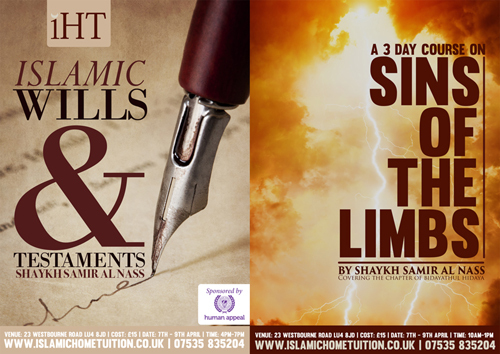 This six week course will help familiarise the student with rulings related to this great pillar of Islam. Many people going to Hajj are ill-prepared because they either suffice with a brief seminar prior to going or worse still, they rely on the knowledge of people in the group who have little to no knowledge of Islamic Jurisprudence. This course aims to provide a more detailed study of legal rulings related to Hajj, helping the student to prepare more comprehensively for Hajj. Students will learn essential details regarding this most important of Islamic pillars. Not only is this course designed to correct mistakes we make whilst fasting but also to provide an understanding of this often repeated act of devotion. 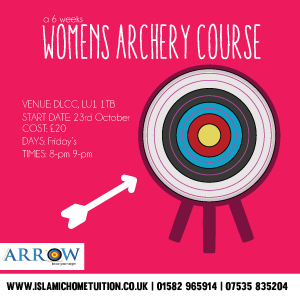 This course will cover major events that took place during the leadership of Sayidinah Abu Bakr. This chronological presentation will provide an insight into one of the most important and impactful periods in our history. This course will cover related theory as well as allowing for individual recitation and correction. Suitable for beginners and intermediate level students. This lesson will provide a brief exegesis of this holy verse of the Quran. Allah most high encourages us to reflect upon the Quran when we recite it, Insh Allah this lesson will facilitate the fulfilment of this Quranic imperative. This course will cover important rulings relating to everyday activities of the Muslim. Allah most high has blessed us with His sacred law and by acting according to it we find happiness and felicity in this life and the next, however in order to do so we must first study it. This short course will provide a brief biographical overview of the blessed wives of the holy Prophet peace be upon him. 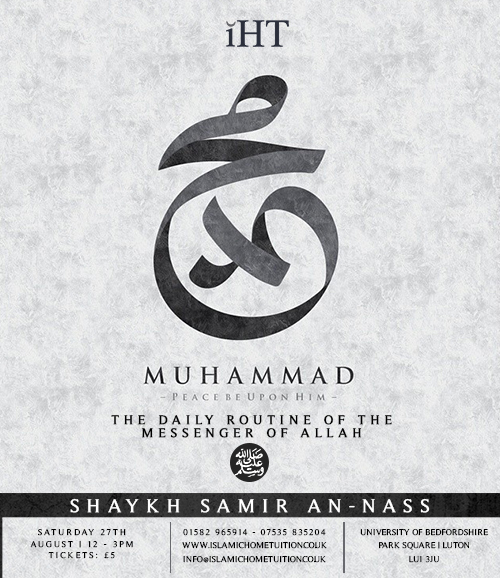 A rare opportunity to study the daily routine of the Messenger of Allah, abundant peace and blessings be upon Him. Shaykh Samir al-Nass will be providing insight into how the Blessed Messenger spent his day based on the observations that were made by the companions around him. Abu Bakr is in Paradise, Umar is in Paradise, Ali is in Paradise, Uthman is in Paradise, Talha is in Paradise, Zubayr is in Paradise, Abdar Rahman bin Auf is in Paradise, Sa'd bin Abi Waqqas is in Paradise, Saeed bin Zayd bin Amr bin Nufayl and Abu Ubaydah bin Jarrah is in Paradise. (Ahmad, Sahih). This course will cover major events that took place during the leadership of Sayidinah Umar. This chronological presentation will provide an insight into one of the most important and impactful periods in our history. This day course will look at the importance and virtue of Darud Sharif as well as providing a breif explanation of Darud Ibrahimi, which is recited during salah. A study of the Quranic verses and Hadith related to the obligations upon husband and wife in the context of marriage. This lesson will provide a brief exegesis of these oft-repeated Suras of the Holy Quran. Allah most high encourages us to reflect upon the Quran when we recite it, Insh Allah this course will facilitate the fulfilment of this Quranic imperative. This course will introduce the methods of hadith criticism used by the classical hadith scholars, while paying particular attention to modern controversies through practical application and numerous well-designed examples. A study of Imam an-Nawawi's renowned collection of Hadith. This important collection focuses on the Hadith narrations that encapsulate the most fundamental principles of our religion. This course will explore various Quranic verses and Prophetic Hadith that speak about Jinn, sorcery and related issues. This course will provide students with the opportunity to learn and comprehend the more nuanced aspects of Islamic Creed. Students will study the renowned work Jowharat al-Tawheed by Imam Ibrahim al-Laqani. (Adam, Idris, Nuh, Hud, Salih peace be upon them). This course will present a biography of the earliest Prophets (peace be upon them) based on the Quran and Hadith. Beginning with Sayidinah Adam and ending with Sayidinah Salih (peace be upon them) this course will analyse relevant Ayat and Hadith in order to better understand the life and times of the earliest Prophets sent to mankind. 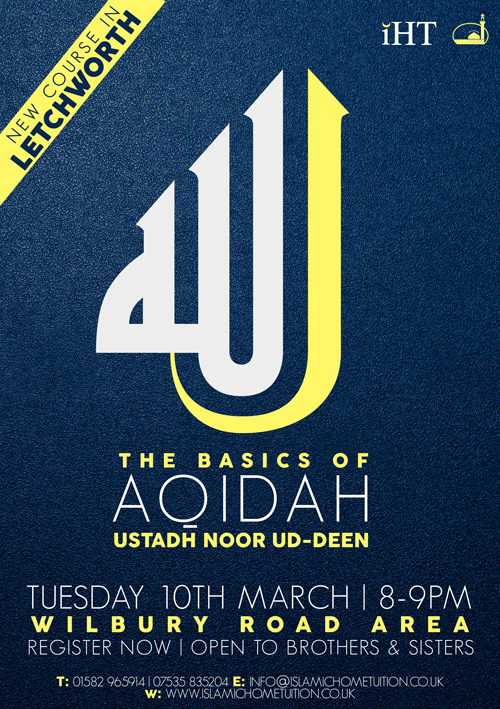 This course will provide an exposition of the major sins in Islam as compiled by the renowned scholar Imam adh-Dhahabi. Students will work through the 70 sins one at a time including; Shirk (polytheism), Usuary, Arrogance, Backbiting and many others. 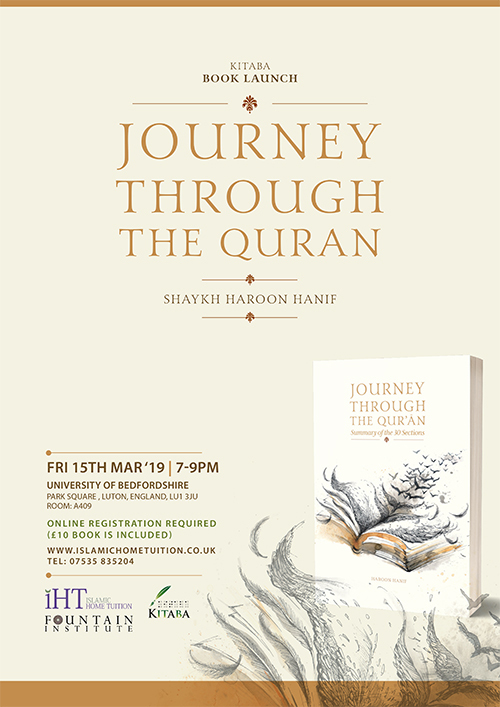 This course will look at the journey of the human soul from the time it was created until it reaches its final destination, the journey will be studied as five distinct stages as explained by Imam Hadad in his celebrated book on this subject. 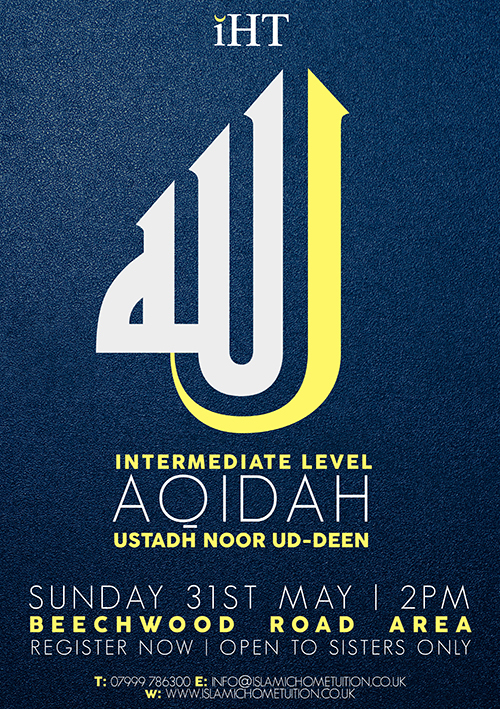 Students will study the major signs of the Day of Judgement based on narrations from Quran and Hadith. The Book of Assistance Course (Islamic Spirituality). Based on Imam Haddad's celebrated work this course will present the fundamentals of Islamic Spirituality based on the Holy Quran and Prophetic Sunnah. Working through the book's well structured chapters, students will learn how to practically apply Quranic teachings in a manner that facilitates spiritual development. (Ibrahim, Lut, Ismaeel, Ishaq, Yaqub,Yousuf, Shuayb, peace be upon them). Due to the deep love the early Muslims had for the holy Prophet (peace be upon him) they narrated every detail they could find. In his blessed book Imam Tirmidhi collected many of these narrations so we too have the ability to connect with the blessed Prophet like the early Muslims did. When a loved one passes away we are often called upon to assist with the funeral rights. However without studying how will we know if we are performing them correctly? What is the Sunnah method? What is best for the deceased? These and many other important questions will be answered during this 6 week course insh Allah. The holy Prophet (peace be upon him) obliged us to study our deen and it is due to our failure to act upon this command that we often go wrong, this is an opportunity to correct at least one aspect of our religious practice. It is important for Muslims to have a thorough understanding of legal rulings related to any action they embark upon, it is not acceptable to rely on hearsay or partial information. Too many Muslims enter into marriage without having studied the sacred law rulings related to it and thus do themselves and their spouse an injustice. This course will investigate the legal rulings related to marriage in order to help students fulfil their obligation. In an age of disconnect from revelation, there is a greater need for understanding the meanings of the Qur'?n. Barriers have been erected that block the light of the Qur'?n, barriers that need demolishing. This book is an attempt to help demolish these barriers so that the reader begins to walk in the light of the living Qur'?n.